This paper reviews aspects relevant to detection and quantification of genetically modified (GM) material within the feed/food chain. The GM crop regulatory framework at the international level is evaluated with reference to traceability and labelling. 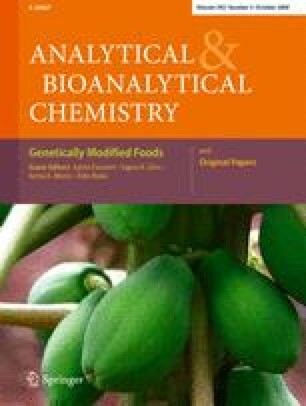 Current analytical methods for the detection, identification, and quantification of transgenic DNA in food and feed are reviewed. These methods include quantitative real-time PCR, multiplex PCR, and multiplex real-time PCR. Particular attention is paid to methods able to identify multiple GM events in a single reaction and to the development of microdevices and microsensors, though they have not been fully validated for application. The authors acknowledge the contribution made by the EC FP5 and FP6 projects DNA-TRACK, TRACEBACK, PETER, and CoEXTRA (to NM), the NATO Science for Peace project 982498 (to NM), and the national projects PRIN 2006 (to NM) and FIRB Micran, RBNE01ZB7A (to GDB). The views expressed in this paper reflect those of the authors.